Sanford Tree Service performs land clearing and lot clearing in Sanford, FL. If you have a lot that needs general cleanup or if you need to prepare it for a sale, then we can handle any land clearing or lot clearing project at an affordable and competitive price. Our land clearing services include tree removal, brush clearing, debris clearing, shrub removal, and more. We have the equipment and the resources to perform these services and Sanford and the surrounding communities. Land clearing and lot clearing can be a complex project with lots of dangers and difficulties. It is always best to consult with a professional tree service company to perform these projects! These projects can be hazardous and cumbersome, and without the proper equipment land clearing in Sanford, FL can be nearly impossible. 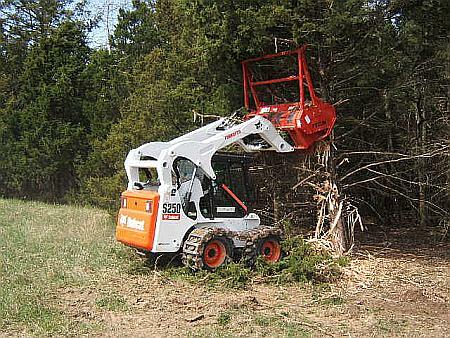 Clearing property often requires tree removal and tree cutting, requiring heavy equipment. Our Sanford land clearing service is always affordable, and our competitive pricing makes the decision quite easy! Call Sanford Tree Service at 407-871-6001 for a free estimate. We would be happy to meet you at your property, your home, or your business to review the project scope. We will work with you on your schedule to accommodate and deadlines that you might have, and we are flexible in serving our customers.